8.00a.m Depart from your Nairobi hotel for the Masai Mara Game reserve stopping at the view-point of the great Rift Valley. Arrive in time for lunch and afternoon game drive. Dinner and over night at the sopa lodge/similar lodge. Wake up to cup of tea or coffee followed by an early morning pre- breakfast game drive. Return to the lodge for breakfast, followed by a further game drive. All the big five may be seen namely elephant, buffalo and lion; the sighting of rhino and leopard which make the total five cannot be guaranteed as they are few in number, very shy and elusive. Lunch at the lodge then a leisure break during which you can visit a local masai village at an extra cost. Wind up the day with a late afternoon / early evening game drive, returning to the sopa lodge for dinner and overnight. Early morning pre-breakfast game drive. After breakfast, depart the Mara region for Nakuru , picnic lunch enroute. Mt Longonot and lake Naivasha can be seen from afar on the main highway. Dinner and overnight at the lake nakuru lodge/similar lodge. Kenya masai mara lake Naivasha flamingosAfter breakfast, proceed on a game drive in the nearby Lake Nakuru national park which has a fantastic array of bird-life including flamingos, white pelicans and marabu stork, all water birds that breed in the lake's alkaline waters. you may spot white rhino and the rare Rothschild's giraffe that has five horns instead of the usual three and clear instead of spotted shanks. A visit to the baboon cliff offers a scenic panorama of the lake below, surrounded by a vast tract of euphorbia and acacia forest. Makalia falls within the park are an additional attraction. 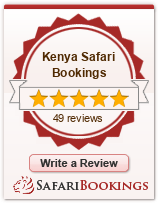 After lunch, drive to lake Naivasha for dinner and overnight at the sopa lodge/similar lodge. After breakfast proceed on an excursion by boat to the crescent island private game Sanctuary where you can walk among small herds of plain game. lunch in Naivasha then depart for Nairobi, arriving in the evening. Drop at your hotel.